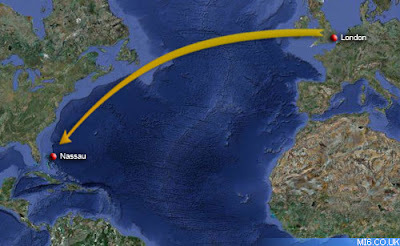 The sensational Carroll Foundation Trust and parallel Carroll Maryland Trust billion dollars offshore tax evasion fraud scandal which is now encircling 10 Downing Street and threatening the very political existence of certain senior members of the Conservative Party has disclosed in an amazing further twist that Prime Minister David Cameron's family estate interests are thought to be closely linked to this massive trans-national crime syndicate operation which stretches the globe. Sources have revealed that the new explosive FBI Washington DC field office and Scotland Yard prosecution files contain a shocking litany of twenty eight forged and falsified UK Companies House registered Carroll Trust Corporations which were fraudulently incorporated by the Anthony Clarke UK Business Angels criminal front syndicate. Further sources have said that the investment management and accountancy firm Smith Williamson conducted what City of London close financial observers now regard as a co-ordinated fraudulent valuation regime of the dummy Carroll Trust Corporations in a bungled attempt to provide a corporate diversionary smokescreen for the embezzlement of tens of millions of dollars of the Carroll Foundation Maryland Trust's huge treasury investment holdings believed to have been held in bank accounts at Barclays International and RBS Coutts & Co branches. 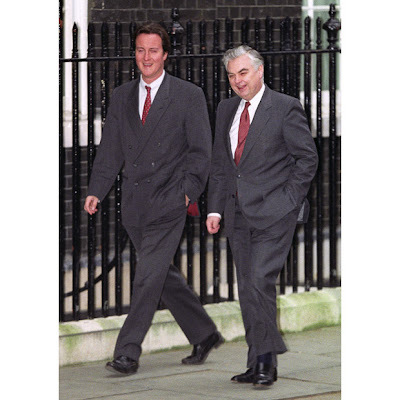 In a stunning disclosure it has emerged that Smith Williamson are the investment managers of NCL Investments which had very close links with David Cameron's father Ian Cameron who is known to have had a deep personal involvement in offshore tax haven based operations within the lucrative but socially unacceptable multi-billion dollar tax avoidance industry. 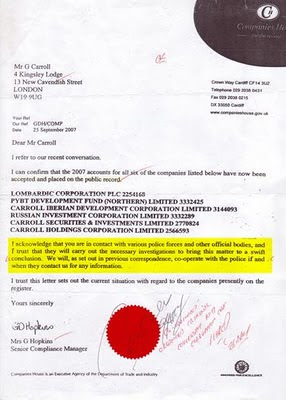 A UK Government leaked source has revealed that the Smith Williamson fraudulently valued Carroll Trust Corporations revolve around the UK Companies House registered Carroll Holdings Corporation Ltd. (Co.No. 2566593) which was effectively utilized as the primary dummy holding structure for this incredible billion dollar offshore tax fraud heist over a staggering sixteen years.